The HMN4103 is a rugged microphone with a display, volume control, two programmable buttons and an orange emergency button. Its 8-character display mimics the top display to show zone and channel information at a glance. It is designed with a large speaker that delivers audio that is clearer, more intelligible and up 50% louder than XTS-series RSMs. 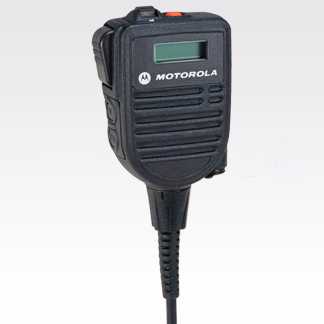 Meets rugged specifications for submersibility and includes a rugged, submersible audio jack from Motorola.